A Gigabit City provides its businesses with access to future-proof, full fibre connectivity products and solutions. Affordable next-generation, gigabit speed services transform the digital capabilities of small and medium sized businesses while uncontended access provides the world-class connectivity that enterprises expects. As access to bandwidth becomes ever more essential, a Gigabit City becomes the perfect location to establish and grow your business, sparking inward investment and driving economic development. 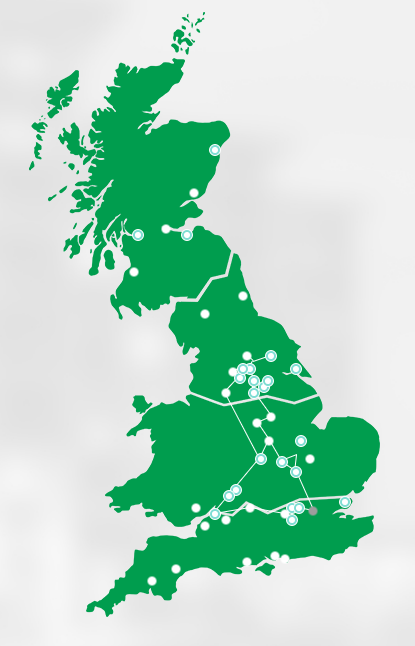 CityFibre is the UK’s leading alternative full fibre network infrastructure owner. With major fibre infrastructure projects across 51 towns and cities throughout the UK, they provide the backbone to the Gigabit Cities initiative. The purpose-built, full fibre and duct network is independent from all other infrastructure providers, making it ideal for those seeking resilience or a fresh, agile alternative to existing suppliers. Scotland – From Auld Reekie to the Granite City, the network is powered by hundreds of public sector sites and businesses throughout Scotland. Check the coverage map HERE. North – Putting the ‘power’ in to the Northern Powerhouse, CityFibre has a major presence in our region and beyond. Check the coverage map HERE. Central – Home to 9 major metros and over 600km of long distance network, the central region accounts for CityFibre’s largest footprint. Check the coverage map HERE. South – The network presence in the south is growing fast with new areas being added regularly. Check the coverage map HERE. To chat to a member of the team about your requirements call us on 0114 220 3000 or for fast & accurate pricing click HERE.